Welcome visitors from TED.com! I hope you enjoyed my TED talk. Since it was so short, there is a lot of information I was not able to include. Here, I provide additional material for those who are interested in learning more and digging deeper. "The TED talk is an appetizer. Here is the next course." While I tried my best to give the most succinct, concise, and engaging talk, covering the essentials, there is obviously a lot more to say. Therefore, I have created a 52-page ebook that includes information I was not able to cover in the talk. This starts to flesh out some of the topics above. To celebrate the TED talk being featured on TED.com, the full 52-page ebook is available for FREE until end of August 2017. To download, click on the button below. Where do you want us to send the resource? The annotated resource will be emailed to you shortly! According to the World Health Organization, there was approximately 14 million new cases in 2012, and was responsible for 8.8 million deaths in 2015 - making it the second leading cause of death globally and one of the leading causes of morbidity worldwide. According to the American Cancer Society, cancer will affect 1 in 2 men and 1 in 3 women in the United States. Globally, The number of new cases is expected to rise by about 70% over the next 2 decades. EXPANSION: We will provide an overview of the top contributors to cancer, including environmental and genetic causes, as well as the top prevention strategies and screening methods. One of the most exciting developments is cancer genomics, which is the mapping of the genetic changes associated with cancer. I was part of the team at Johns Hopkins that performed the first ever genome-wide sequencing of cancers. We sequenced breast and colorectal cancers and published in Science in 2006 and 2007. Large whole-wide initiatives now study cancer genomics lead by the International Cancer Genomics Consortium with 89 projects in 17 countries. EXPANSION: What has cancer genomics taught us? Which cancers can be more easily targeted due to this genomic data? How can we catch cancers early due to this data? 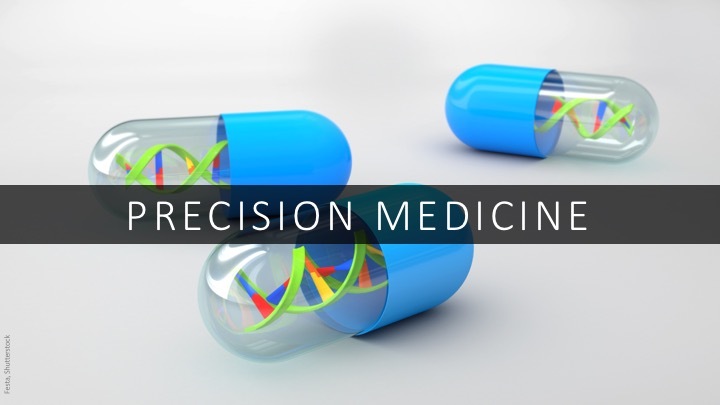 Precision (or personalized) medicine is giving the right drug to the right patient at the right time at the right dose. Targeted therapies: drugs that focus on genetic changes that is only present in the cancer and not in the patient's normal tissue. EXPANSION: What are all the targeted therapies available today? What are the ones forthcoming? Which diseases do these target? 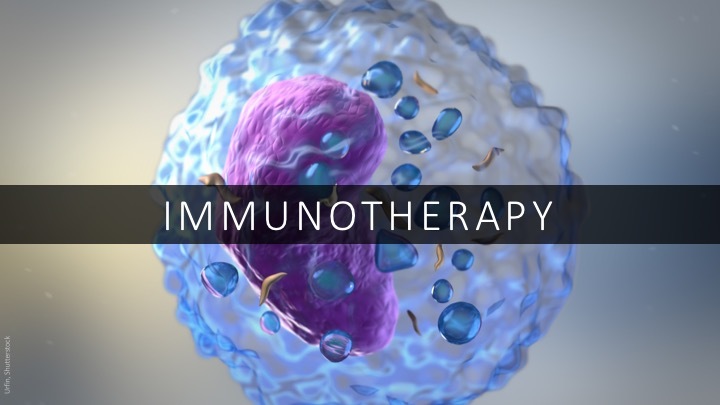 Immunotherapy is taking advantage of the body's own immune system in the fight against cancer. It is one of the most promising and exciting new areas today. Checkpoint Inhibitors: Drugs that inactivate the off switch of the immune system, effectively turning it back on. For select indications, now FDA approved. CAR T-Cell Therapy (Adoptive cell transfer): Engineering patient's own immune cells to attack cancer. Therapeutic Cancer Vaccines: Removing immune cells, such as antigen-presenting cells (APCs) from the patient, activated and expanded, and re-infused into the patient. Cytokines: Proteins that help mediate and regulate immune responses, inflammation, and hematopoiesis, including interferons (INFs), interleukins (ILs), and hematopoietic growth factors. Others include monoclonal antibodies and BCG. In a study by researchers at Harvard and MIT, patient's melanoma tumor was sequenced to reveal that it harbored the V600E mutation in the BRAF gene. A targeted therapy called vemurafenib was given with astonishing results. However, the tumor developed a mutation in MEK1 and the drug was no longer effective. EXPANSION: What are the targeted therapies available for different cancer types? What are the known resistance markers? Examples include EGFR targeted therapies for non-small cell lung cancer such as erlotinib (Tarceva) and gefitinib (Iressa). Resistance markers include T790M and C797S. Chapter 6: How Can Early Detection Save Lives? 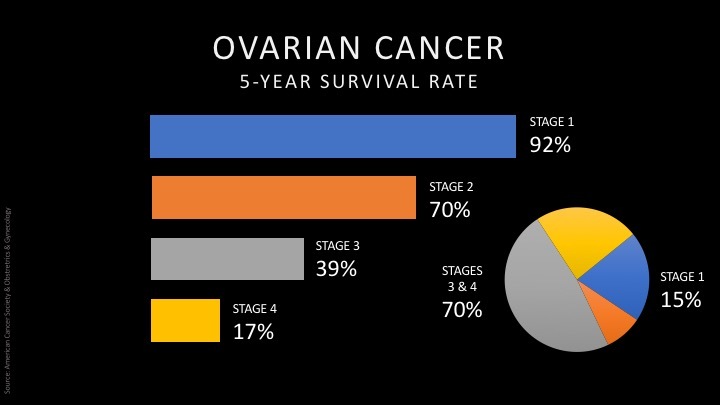 In invasive epithelial ovarian cancers, survival rate at five is dramatically different at stage 1 (92%) vs stage 4 (17%) according to the National Cancer Institute, SEER Database. EXPANSION: Finding and treating cancer at an early stage can save lives (below from Cancer Research UK). Bowel cancer: > 90% of bowel cancer patients will survive the disease for more than 5 years if diagnosed at the earliest stage. Breast cancer: >90% of women diagnosed with breast cancer at the earliest stage survive their disease for at least 5 years compared to around 15% for women diagnosed with the most advanced stage of disease. Lung cancer: Around 70% of lung cancer patients will survive for at least a year if diagnosed at the earliest stage compared to around 14% for people diagnosed with the most advanced stage of disease. Circulating tumor DNA (ctDNA) is one of the most exciting advances in cancer diagnostics - providing a whole new generation of cancer biomarkers. When cancer cells die, they release DNA into the bloodstream. Since we know the mutations characteristic of different cancers, we can look for these mutations in the blood. EXPANSION: The amount of ctDNA has been observed in both early and late stage cancers and multiple cancer types, such as pancreatic, ovarian, colorectal, bladder, gastroesophageal, breast, melanoma, hepatocellular, and head and neck cancers. Natera has developed a personalized liquid biopsy technology. Tumors are first subjected to whole-exome sequencing (WES). A subset of single-nucleotide variants (SNVs) are then chosen custom primer design for multiplexed PCR coupled with next-generation sequencing (mPCR-NGS). With the collected blood, the DNA can be extracted, molecular libraries are then prepared and then sequenced on next-generation machine, with final computational analysis. EXPANSION: This method was first described in Annals of Oncology in 2016 on a set of stage I and stage II primary NSCLC tumors to detect both ubiquitous and heterogeneous somatic mutations. Natera has collaborated with Charles Swanton at University College London to apply this technology to a cohort of lung cancer patient called the TRACERx Lung Study. EXPANSION: Published in Nature a week after the talk, the phylogenetic ctDNA analysis was able to monitoring and characterize early-stage lung cancer evolution. As reported on the Natera website, "a subset of 24 patients were studied for detection of cancer relapse. Presence of circulating tumor DNA was successfully detected in 93% (13/14) of patients at or prior to relapse, up to 347 days earlier than standard of care. Test specificity was [90%] in a control group of 10 patients who remained relapse-free at the time of publication." EXPANSION: From ClinicalTrials.gov, as of July 2017, there are close to 90 studies related to circulating tumor DNA and liquid biopsies investigation different cancers such as lung, thyroid, rectal, ovarian, breast, and pancreatic cancers. EXPANSION: Possible applications of circulating tumor DNA in cancer include early detection, diagnosis, therapy selection, disease load monitoring, recurrence detection, and resistance detection. In the full resource, we will explain how each of these application can significantly alter how we treat cancers. There is tremendous excitement and possibility with circulating tumor DNA and cancer. The dream is to one day, as part of the regular check up to have two extra vials of blood drawn - to look for all possible mutations for the different cancers. EXPANSION: We will look at which applications are most likely to be clinically adopted first and where the latest evidence for different cancer types.